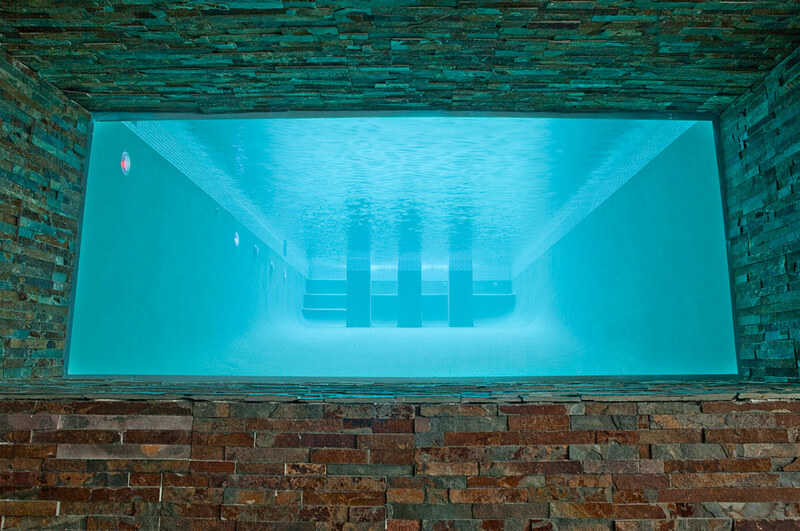 This stylish pool is an entertainer’s dream! Custom-built for relaxation and gas heated for year-round enjoyment, the pool window creates a show-stopping design highlight in this unique contemporary home. 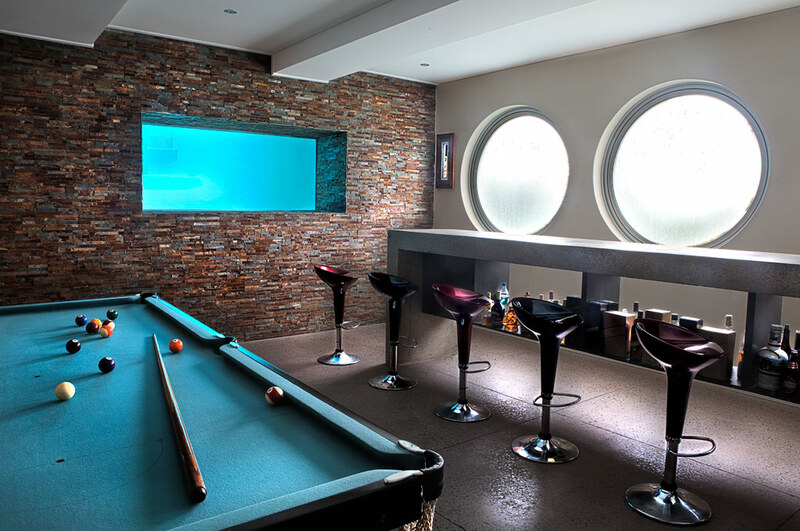 At one end, a large underwater viewing pool window connects the pool with a games room within the house. 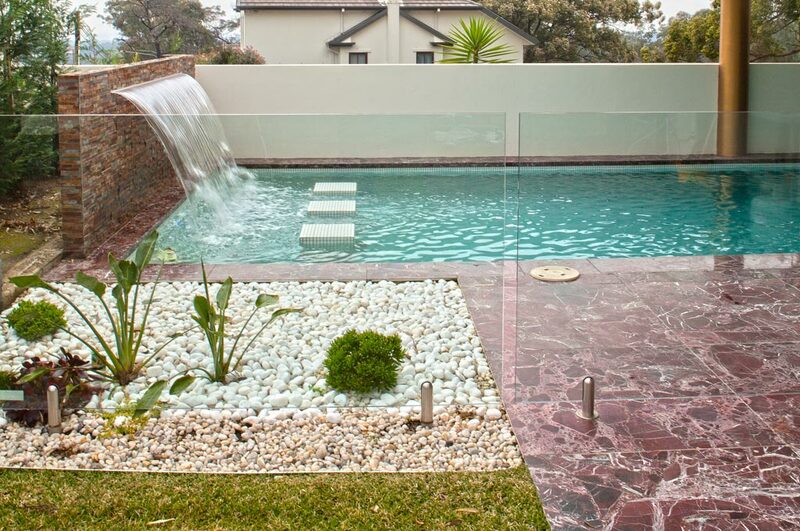 At the opposite end, an impressive sheer descent water feature cascades onto three white tiled stepping-stones. 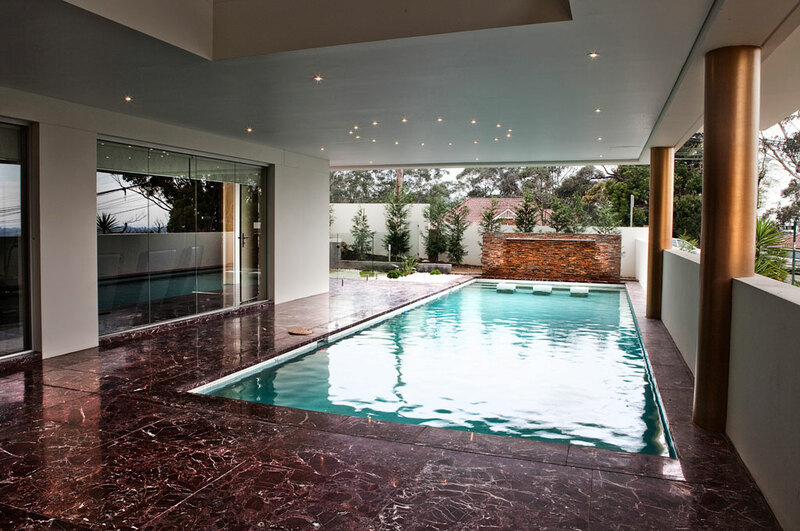 Spectacular marble tiles surround the pool and alfresco areas, ensuring continuity and enhancing the theme of indoor-outdoor integration. 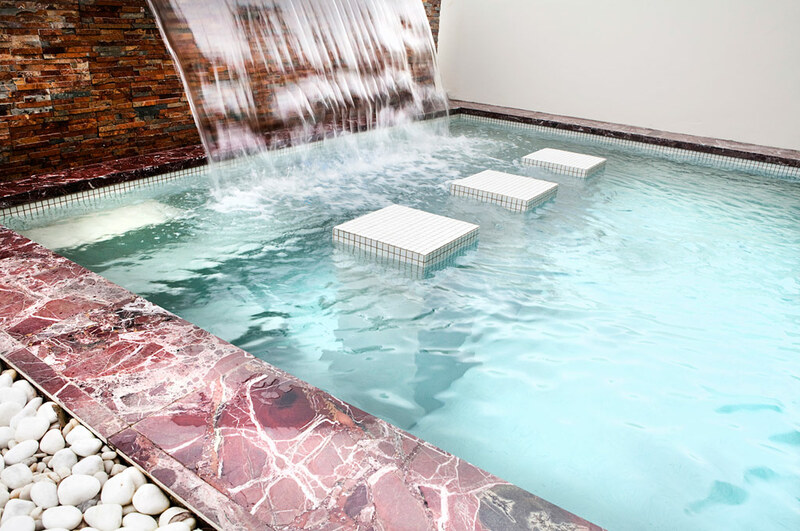 It’s easy to imagine sipping your favourite beverage while perched on the underwater sitting ledge. 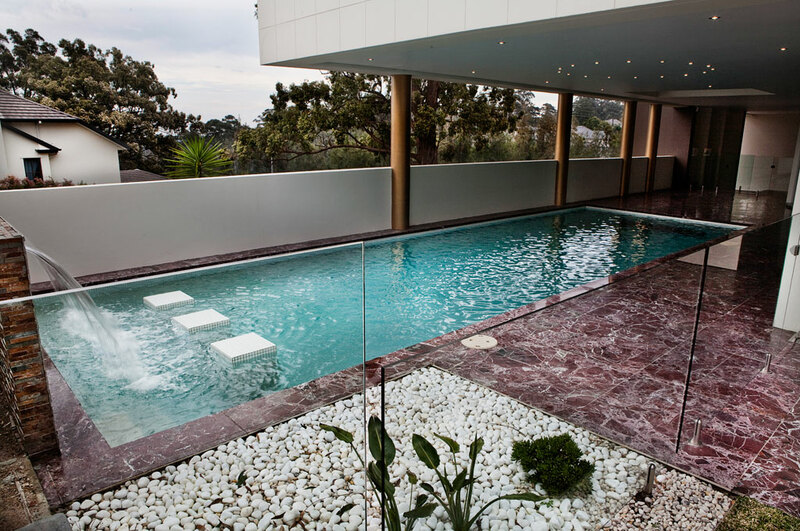 Finishing touches include white quartz lining, LED lighting and frameless glass fencing for an uninterrupted view.